New York, March 26, 2012. The Rottenstein Law Group, which represents clients with claims stemming from the failures of defective hip replacement devices manufactured and sold by Wright Medical, is taking note of the initial deadlines set by the Conserve multidistrict litigation court in its first pretrial order. In its Pretrial Order no. 1, filed on March 19, the United States District Court for the Northern District of Georgia, in the case styled In re: Wright Medical Technology, Inc., Conserve Hip Implant Products Liability Litigation (no. 1:12-MD-2329), District Judge William S. Duffey, Jr. set forth some rules to govern the initial procedure in those actions transferred to the court by the Judicial Panel on Multidistrict Litigation concerning the Wright Conserve devices, all of which are being consolidated for pretrial purposes. Judge Duffey ordered, among other things, that all discovery in the MDL action be stayed until further order of the court; accordingly, the parties are not to trade pretrial information just now. The court set the “Initial Organization Conference” in the matter for the morning of April 23, 2012. Counsel for the parties must meet and confer by April 2, and by April 9 must file a Proposed Case Management Order and Proposed Conference Agenda. At the Initial Organization Conference, the parties will provide to the court input regarding the process for selecting Lead and Liaison Counsel—unless the parties agree among themselves which counsel will perform those functions. The Wright Conserve devices compose a hip replacement system that involves the capping of a patient’s thigh bone with a synthetic ball and the replacement of that patient’s hip socket with a corresponding cup. Both the ball and the cup of the Wright Conserve devices are at least in part made of metal. There has been much recent media coverage of the dangers of metal-on-metal joint replacement devices, including an ongoing series of reports in the New York Times. The Rottenstein Law Group is imploring anyone with a friend or relative who has received a potentially dangerous hip replacement device to reach out to that person and recommend that he or she consult a physician immediately and then speak to a qualified personal injury lawyer. The Rottenstein Law Group maintains a Wright Profemur Z Lawsuit Information Page on their website. The site has features that allow for easy sharing, including links for automatic posting on Facebook and Twitter, specifically to enable visitors to spread the word about the dangers of defective medical devices. 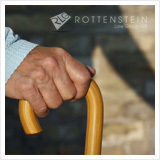 The Rottenstein Law Group is a New York-based law firm that represents clients in mass tort actions. The firm was founded by Rochelle Rottenstein, who has more than two decades of experience as a lawyer, to represent clients in consumer product injury, mass tort, and class action lawsuits in a compassionate manner.